Because you can never have enough apps in your life, we’ve decided to comb through a recent thread of new Android app recommendations over at Reddit’s Android community and pluck out the best gems for your enjoyment. Some of these apps have been out for a while but some of them are brand new so don’t be shocked if they come with bugs. That said, they’re all highly rated and you can be sure the developers will issue patches to fix any reported issues people may find. And without further ado, here are five more terrific Android apps you may never have heard of. Moon+ Reader Pro is a widely acclaimed book reader app that’s won praise for its customization options that will let you change an ebook’s fonts, margins and much more. Unlike the other apps mentioned here, Moon+ Reader Pro will cost you $4.99 but for the more than 50,000 people who have installed it, it seems worthwhile. Forget Flappy Bird — Duet is the sort of hugely addictive game that really deserves to become an overnight sensation. The premise of the game is incredibly simple — you have two spheres that you can manipulate and move around to make sure they avoid any oncoming objects as they move upward. Your survival is dependent on protecting two vessels – they are devices in sync, a dance and song between two entities tethered together in symbiosis. Feel edge of your seat terror where the world around you becomes quiet and numb as all that matters is the game living between your palms — that is Duet. Experience eight chapters of deceptive narrative and nerve-twisting gameplay. Replay any stage to perfect your movements and unlock over 25 achievements. This is a game that will test you. Unlock the Survival mode, Daily Challenges and four additional chapters of bonus challenges. - Full Google Play Game Services sync support – sync your progress across all your devices. – Phones and Tablet support – play everywhere. – Compete with Google Play Game Services across the Survival mode and Daily Challenges leaderboards. Duet is free to download and play with some advertisements between gameplay. However, you may pay a once-off in-app purchase to unlock “Duet Premium”. This will remove all advertisements from the game, unlock Survival mode for endless score chasing delight, the Daily Challenges feature and four bonus challenge chapters. You will also help support more independent development of video games. As its name suggests, Music Control is a very simple moveable widget that will give you the ability to control whatever music is playing on your phone across multiple apps, whether it’s on Spotify, on the Google Play Store or just a song that’s on your device. The app seems to be very new, so don’t expect it to be perfect and its developer is asking for user feedback. That said, it seems very promising. With this application you can control the running music on your device very easy. It opens a window thas overlays on top of all other apps (also games) and can be moved completly free. Supports many mediaplayers such as Play Music, Spotify or Apollo. If you can’t wait for Android L to come out — and given issues of Android fragmentation, you may be waiting for a long time — then you might want to get at least a taste of what’s to come with the Ultimate Android L Lockscreen. Essentially, this is an Android L lockscreen simulator based on the Android 4.4 API that will give you access to Android L-style lockscreen notifications. This is a beta release of the app so, like with Music Control, you should be aware that it will likely have its share of bugs at the start. • Setup a Pin code to stop friends from unlocking! Customization includes vibrate on press, show next alarm at quick glance . Please keep in mind that this is a beta release so bugs can be expected. And finally, the Algeo graphing calculator is a well received graphing calculator app for people who want to do more advanced mathematics on their smartphones. 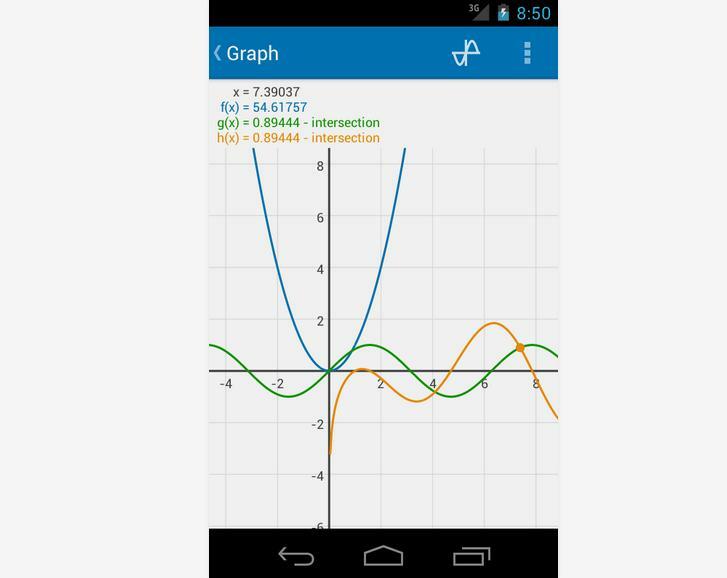 It has the best graphing experience available on the Play Store.